Thinly slice 1 whole pineapple into inch long pieces. Try to keep the slices as thin as possible. The thinner the slice, the less time it takes to dehydrate. Set your dehydrator on medium setting, and cover. Then…just wait. And wait and wait and wait. You will know when the chips are ready when they are no longer leathery, they are devoid of any moisture, and…when they are crunchy. 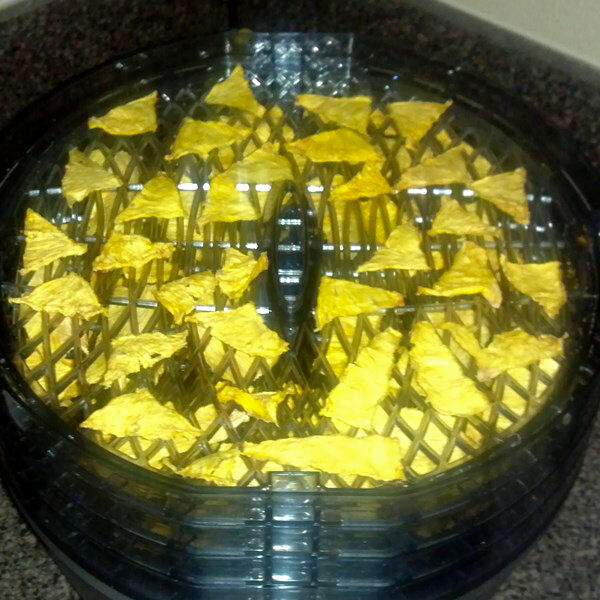 If yours are not like this, then you didn’t leave them in the dehydrator long enough. Be patient! 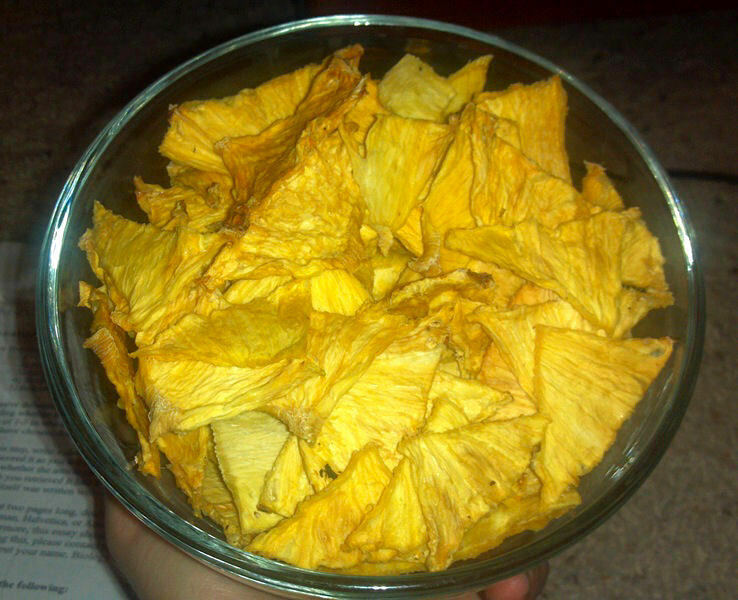 Like I said above, dehydrating a whole pineapple can take up to 24 hours! 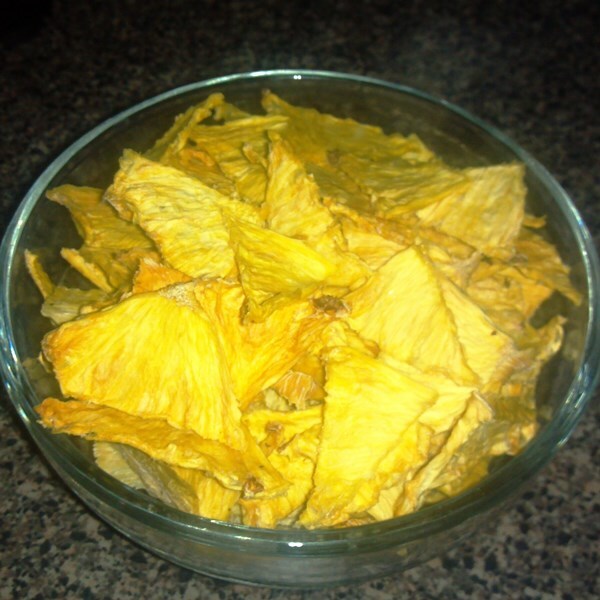 Once they are done, take them out of dehydrator, place in a bowl and eat eat eat!